After my show at the Hilton in Liverpool last night I feel the need to write something to try and explain any confusion with the show that was advertised. Last year, I was booked at the Liverpool Hilton as a Michael Buble tribute. As the date drew closer I was contacted to say that booking numbers were poor and the show was either gonna have to be cancelled or rescheduled. 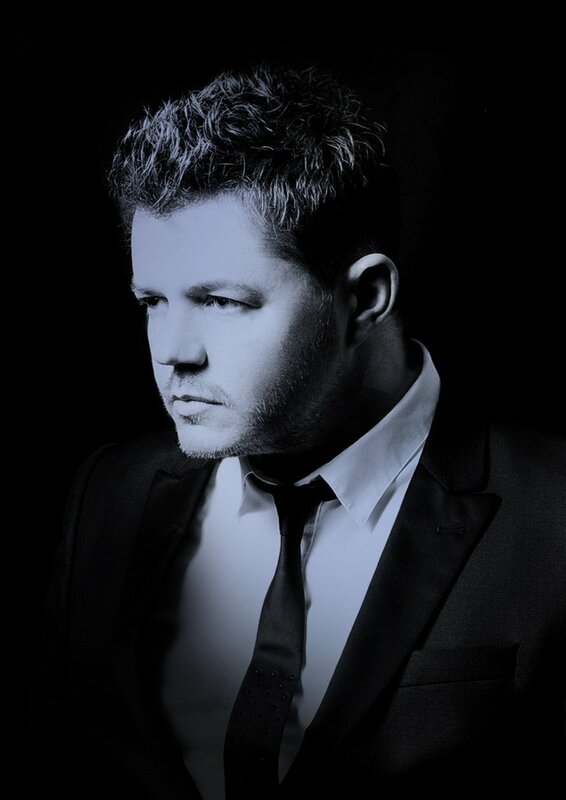 For me, this was a bit of a realisation that the whole Buble tribute thing seems to be losing its appeal. With so many Buble tributes out there – not to mention the god-awful ones – everyone must be getting a bit tired of it all now. Luckily for me it presented an opportunity to suggest something else. I opted to be rescheduled but on the understanding that it would be a Crooner Legends Tribute Show featuring the likes of Matt Monro, Sinatra, Scott Walker, Elvis, Engelbert etc, along with a bit of Buble, of course! 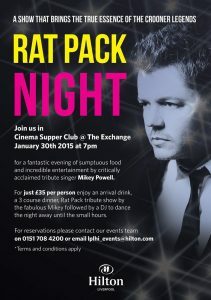 When I checked the Hilton’s Facebook page I was mortified to see my face being advertised with the words ‘RAT PACK NIGHT’ next to it. I contacted the agent to remind them that this wasn’t what I originally suggested emphasising that I wasn’t a Rat Pack tribute, that being a completely different kind of show featuring songs that I don’t sing. They were reluctant to change the advert as people had already booked adding it was of a ‘similar feel’ and it would be fine – clearly not understanding that a tribute to the Rat Pack would have to include at least three crooners. I felt the need to add a comment on their Facebook page to point out the difference in the hope it would clear up any confusion to anyone wanting to come and see the show. I was really worried that people who booked this would complain that it wasn’t what they expected. So, last night while setting up, I was made aware of some people who had already complained that the show wasn’t going to be as advertised. I tried to assure them that if they loved the old crooners that they would have a great night. Luckily for me they did, along with the rest of the audience who were absolutely fantastic, with lots of great feedback at the end of the night. I think everyone enjoyed my tributes and the songs I sang. I hope anyone who came to see it expecting something completely different wasn’t too disappointed. I also hope that if the Hilton would like to do it again it will be advertised correctly so everyone knows what to expect so I don’t feel the need to explain any misunderstandings. For me, it was another great opportunity to sing some classic songs by my old favourites to a very lovely and appreciative audience.